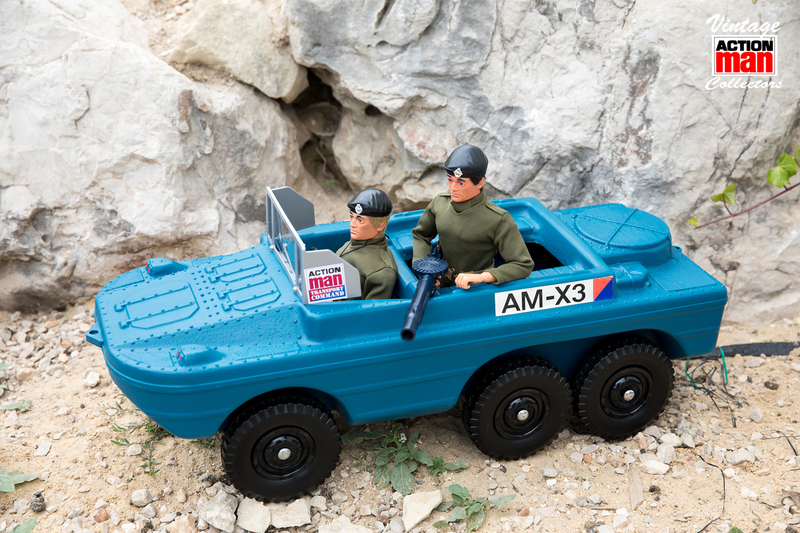 Action Man had a huge range of vehicles to add play value, Space, Land, Sea, and Air he had it covered. listed below are just a small sample of vehicles at his disposal, please keep checking back as these will be constantly updated. 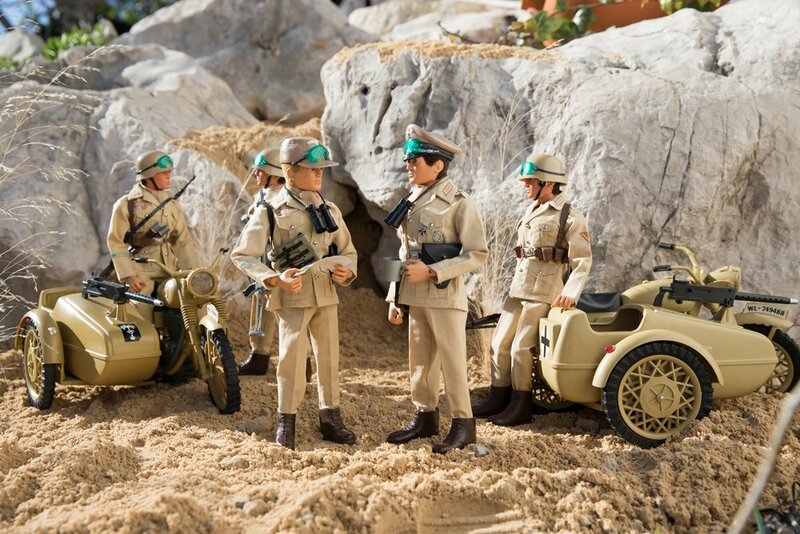 Most vehicles of Action Mans 18 year run saw heavy play wear through backyard battles. 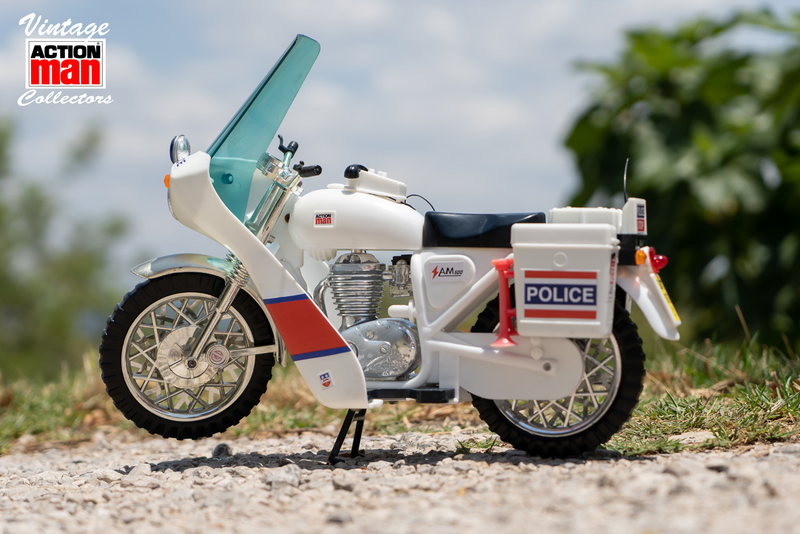 Many small pieces are often broken and finding mint examples for some of the more popular vehicles can prove difficult and time consuming, rest assured they do exist and do come up for sale from time to time. 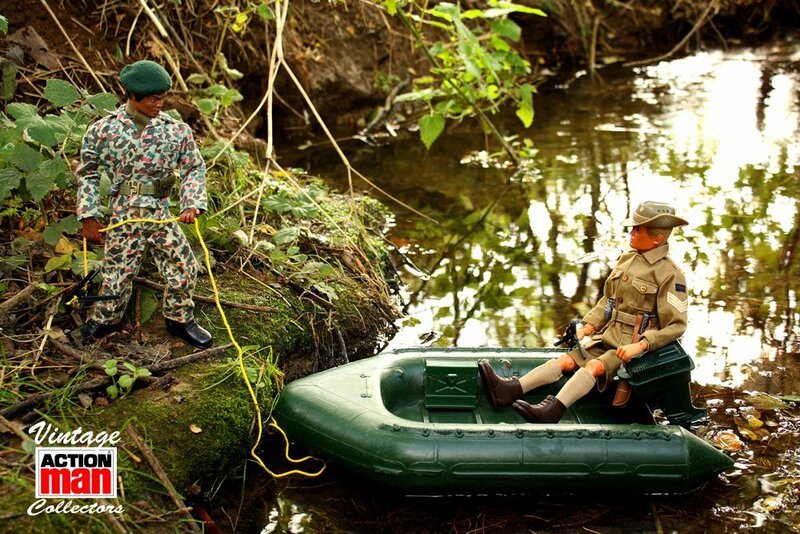 Probably one of the most iconic of all the Action Man Vehicles. 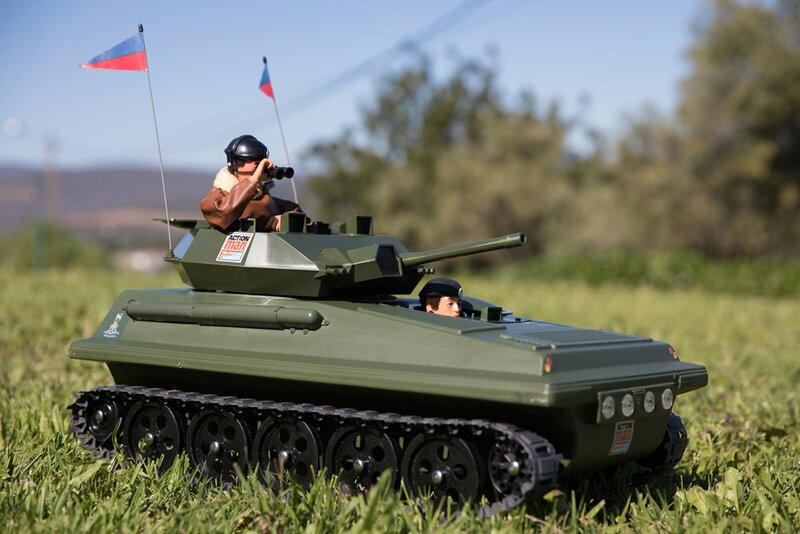 The Scorpion is actually a Combat Vehicle Reconnaissance (CVR) and not a Tank at all but marketed as a Tank by Palitoy, after all as kids that is what we saw it as, Produced by Alvis and released into the British Armed forces in 1973 a year after Palitoy released it (1972). The Scorpion ran from 1972 till the end of production and was always a firm favourite, it can be found today in various condition. Make sure both hatches are not broken, exhaust is still attached and both pennants are still present. Check out our restoration video for the Scorpion. 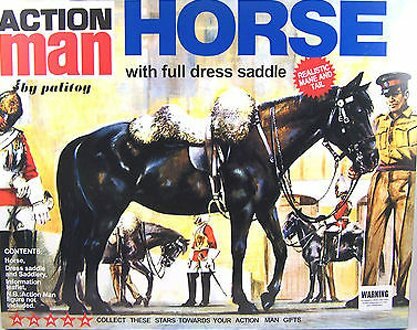 1972, The Horse, Perfect companion to the Royal Horse Guard, Hussar, Lancer, Wild West range and whatever you imagination could dream up The Horse came available in brown or black, realistic main and tail and basic tack or dress. 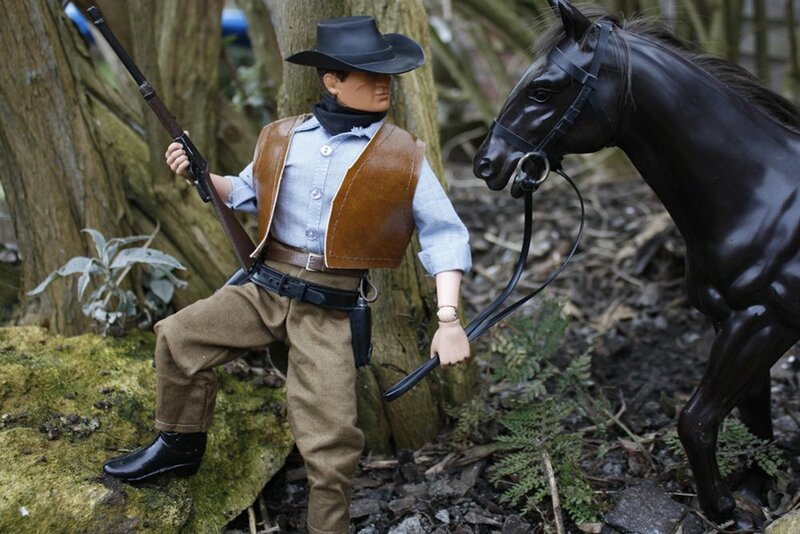 The same mould was also used for the short lived Action Girl range. 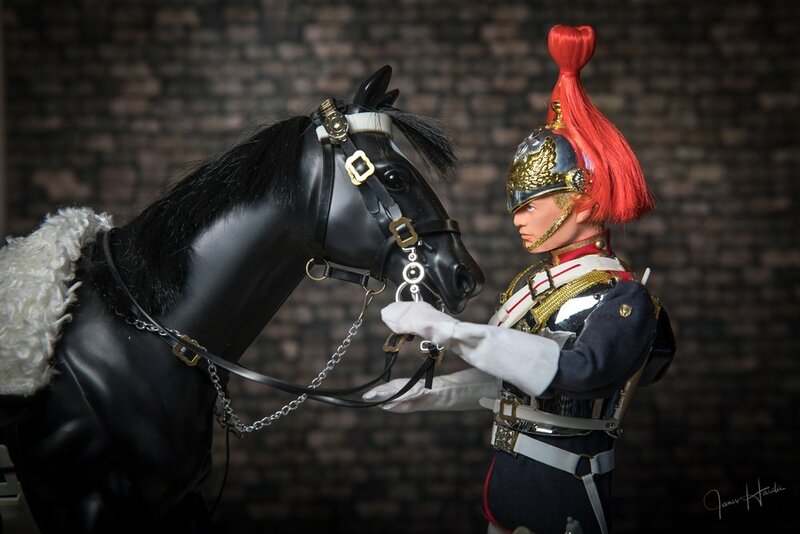 The horse is regarded as one of the must have display items for most collectors. 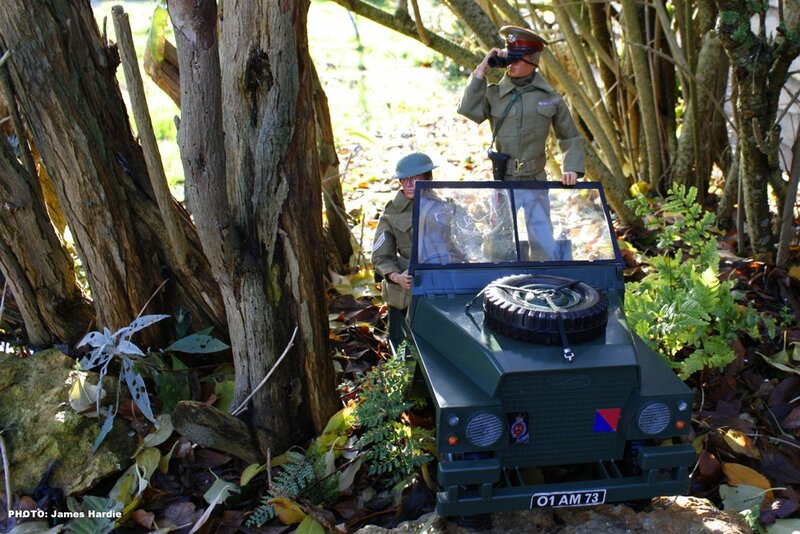 1973 saw Palitoy expand the British Army range of their products and the introduction of Landrover was the perfect representation that Action Man was in fact British. 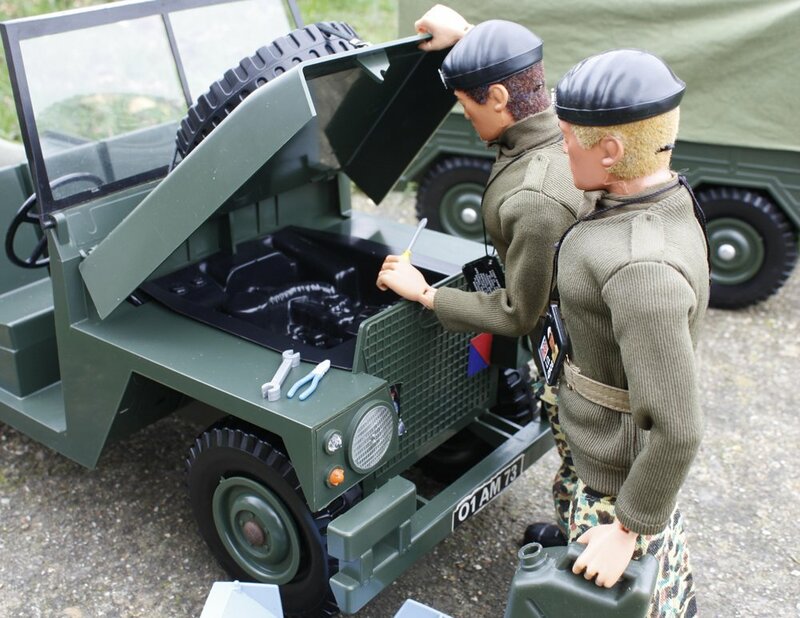 The Landrover is hard to find in mint unbroken condition, the front bumper is often detached and working tail gate often broken, there are also some variants to the Landrover with the later inclusion of a moulded engine placed in the engine bay. 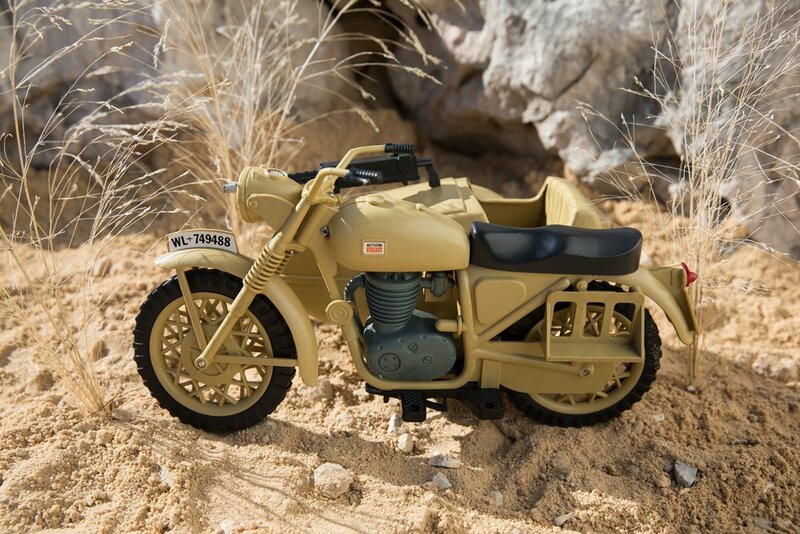 This is one of the most loved vehicles for most Action Man collectors and when good examples show up the price often swells too. 1978 saw the release of the D.U.K.W. 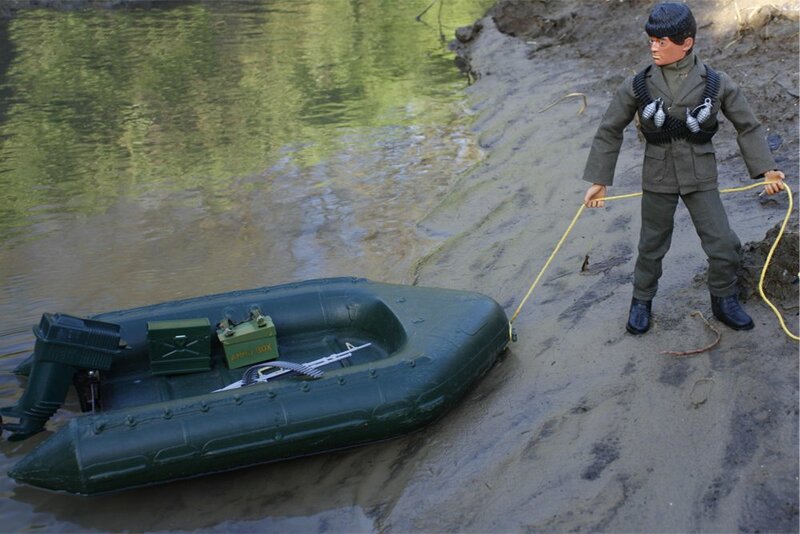 Amphibious Vehicle, suitable for 4 Action Man Figures, The vehicle is a sealed unit so floats in water and is complete with dummy rudder at the rear. This vehicle is getting harder to find boxed and complete, make sure the the machine gun and clip that holds it to the vehicles body is present. 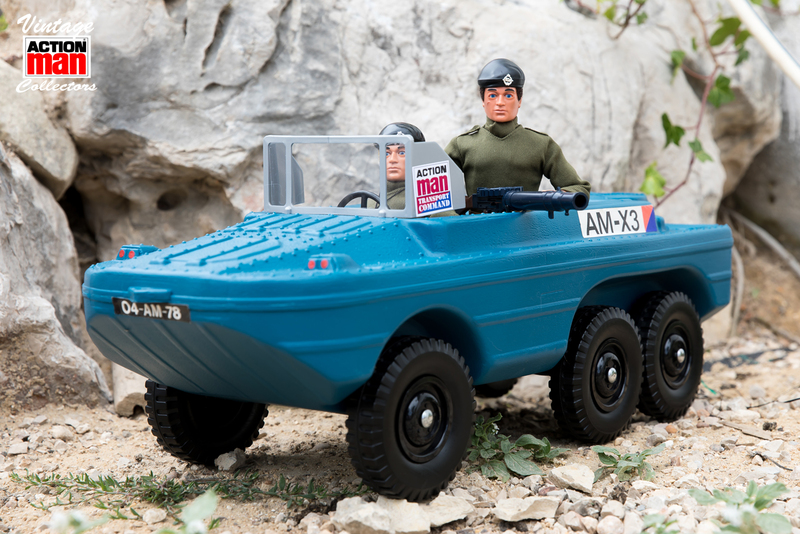 The term DUKW is not an acronym, but rather the original designating manufacturing code for the military wheeled amphibious landing-craft — with D standing for 1942, U for utility (amphibious), K for all-wheel drive, and W for 2 powered rear axles. 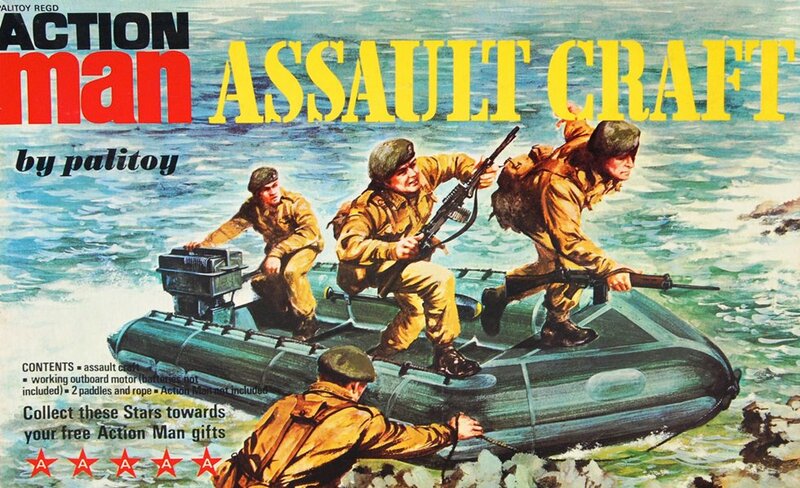 Released in 1971 the Action Man Assault craft was an affordable vehicle with shed loads of play value, helped along with a battery operated working outboard motor. This vehicle must have sold well as mint boxed examples can still be found for very little money. 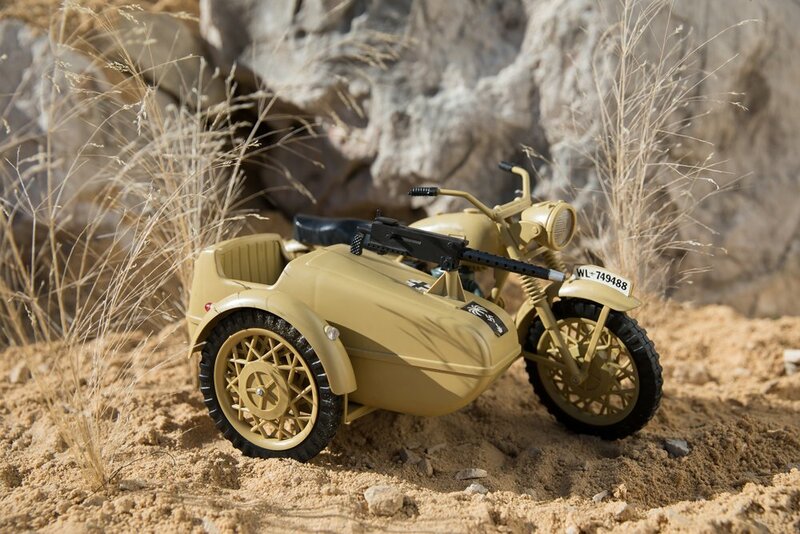 An excellent vehicle for Marines, adventures and explorers. 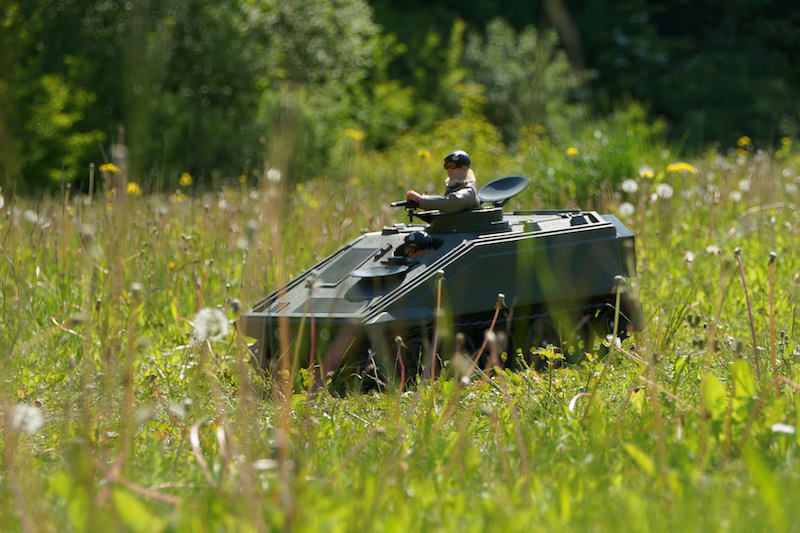 1982, The German Armoured Car was only available for one year. 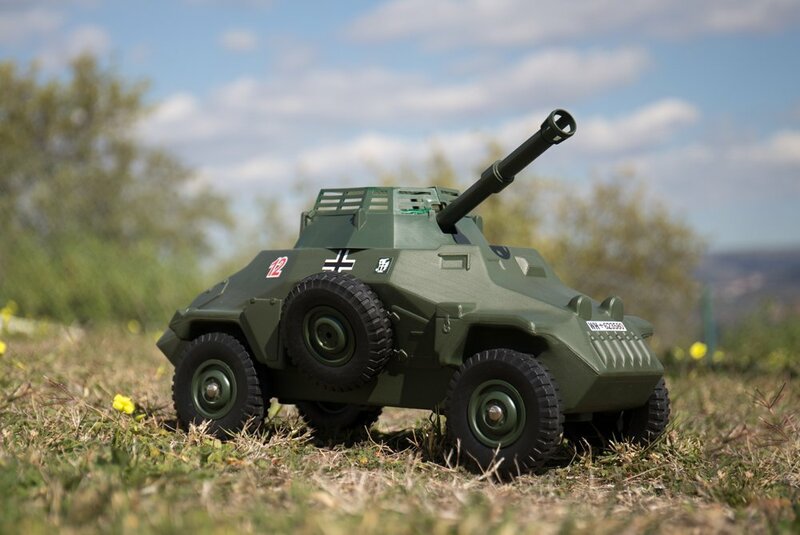 This is the perfect companion to the Panzer Captain and is on most collectors wants list. finding this item loose is a challenge and boxed is most collectors holy grail. The turret hinged cage can often be broken or missing. 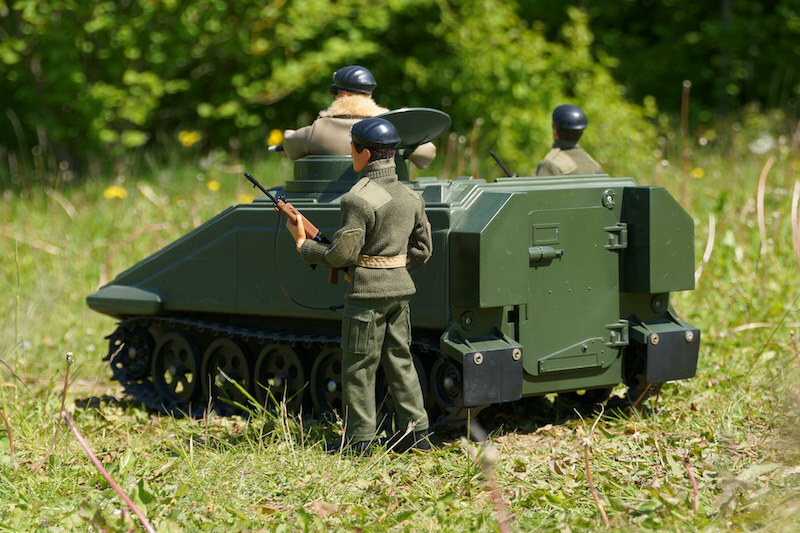 1977 saw the arrival of the Spartan Personnel Carrier (APC), built on the chassis of the famous Scorpion this armoured APC could carry 6 Action Man, very rare especially boxed examples due to its short product run of just one year. The rear door, mud flaps and hatch hinges are prone to breakage. Special Thanks to VAMC member Andrew Sumersgill and his ‘S’ Group for the use of the photos. 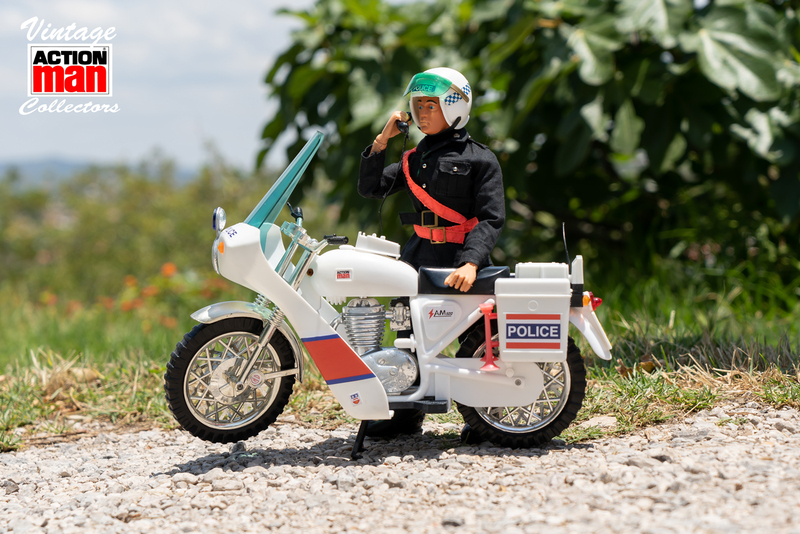 1978 The Police Motorcycle is a sought after vehicle not because of its rarity but finding one that is not discoloured can prove challenging. however do not let that put you off as there is a way to restore original colour thus allowing you to find a discoloured one relatively cheap. 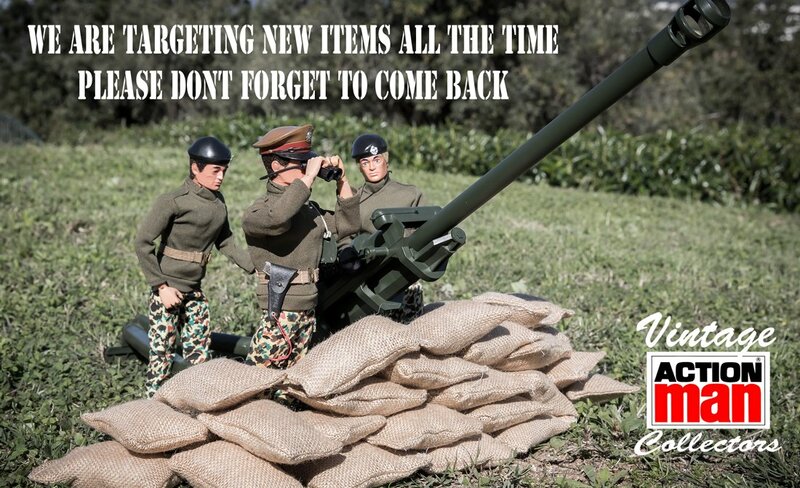 watch our restoration video to find out more.